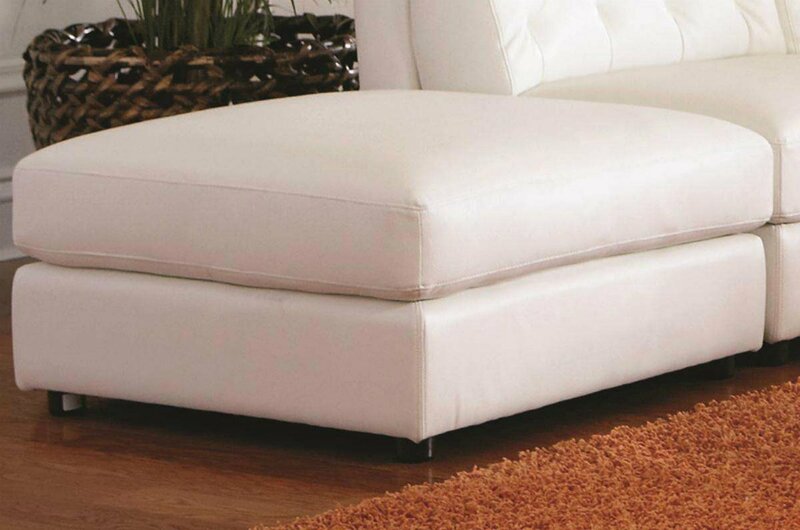 Bring high glamour to your living room with the Coaster Quinn White Sectional Sofa with Armless Chair 551021-551022. This is a stunning sofa that will wrap your room in total style. Tufted details and bonded leather finish off this high fashion look.